In the last few years, since the start of the global financial crisis, some airlines have gone out of business while others have been forced to reduce their capacity. With fewer airlines and lower capacity, the demand ratio for available seats is obviously higher. 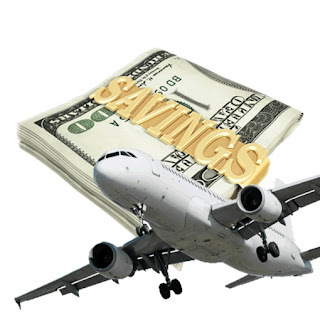 As a consequence, airlines are less inclined to reduce the price. Coupled with rising fuel prices, this has meant that the cost of air travel has gone up year on year. Travel chiefs and pundits are not expecting it to change anytime soon. It is becoming increasingly difficult to reduce your air travel costs, but there are certain things to bear in mind to ensure that you get the best possible price. The first thing to do is to try to plan as far ahead as possible and begin to research flights as soon as you have your confirmed travel date. Travel comparison sites are a good place to start. Don’t book your flight too early, but start to get an idea of the initial ball park figure so that you have something to compare against. Check back regularly to see if prices are reducing. Like all businesses, airlines prefer to retain existing customers and build a list. If you have a particular airline that you regularly fly with, check for frequent flyer and membership schemes. Not only will you be on the email list for price alerts, but in some cases you can qualify for an instant price discount of up to 10% just by registering as a member. Being flexible about when you can fly will often help secure you a better deal. The days that airlines have the most difficulty filling seats are Tuesdays and Wednesdays so fares will often be reduced on these days. If at all possible, avoid school holidays. Airlines are businesses and they are there to make money. As unscrupulous as it seems, demand for seats rises at times when families want to travel and airlines will put the price of seats up accordingly. Many flight prices also depend on which airport you fly from. Being prepared to travel a little distance away from your local airport can often secure you a much better price. Understanding how airlines work can help you buy your ticket at the best price. Flights are released and available to book around ten months before the departure date. Airlines will price tickets quite high initially and then sit back and gauge the response. They will then introduce sale prices usually around 6 weeks before departure for any seats left. This is the optimum time to book your flight as prices will then begin to creep back up nearer to the departure date. Flight prices are unlikely to come down in the near future. Following this advice may help you to reduce your air travel costs. Flexibility, advance planning, and a little knowledge on how airlines work, should help you to find cheaper air tickets. Getting visa on arrival at international airports of Vietnam is also preferable option to reduce cost for air travellers. The fee to get visa on arrival Vietnam is much cheaper than getting visa at embassy or consulate. Many people choose to come to embassy or consulate to get visa because of their trust in the embassy, that’s why they ignore Vietnam visa on arrival. In fact, Vietnam visa on arrival is very trustworthy and legitimate. There will be no one who dares to make a fake approval letter to cheat you some dollars to be accused of a serious crime.